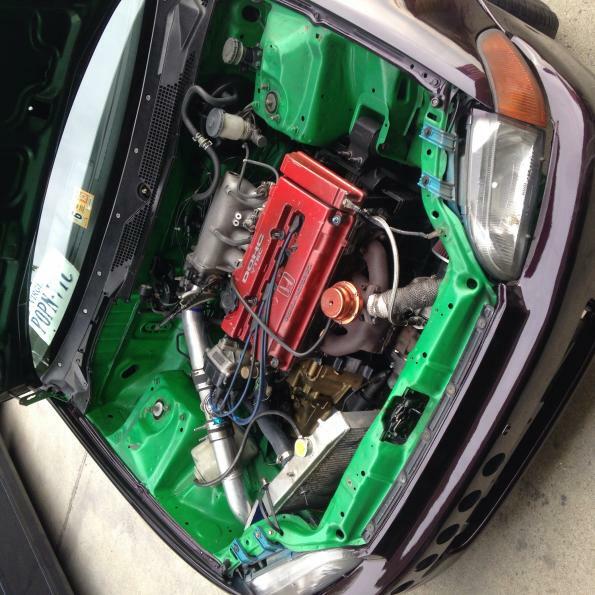 I have a 1994 honda civic hatchback dx model, with a b16a2 turbo swap in it. I got the car tuned maybe 4 months ago, the car ran fine for 2 months then started acting funny. The car will turn on and off perfectly fine whenever I want it to. After I start driving the car and it warms up it starts acting funny. Now when I say acting funny I mean occasionally it will randomly break up during boost or while driving, then after I notice it breaking up the car will shut off on me. Sometimes I have to throw it in gear and pop the clutch to start it back up or I can sometimes will be at an intersection and can just turn it by the key. I am just not too sure how to figure this one out. I'm not sure if it's the main relay or what please help me out!!!! What MAP sensor are you running? What is your A/F at idle, while normal driving, and WOT? its a hole in the piston.